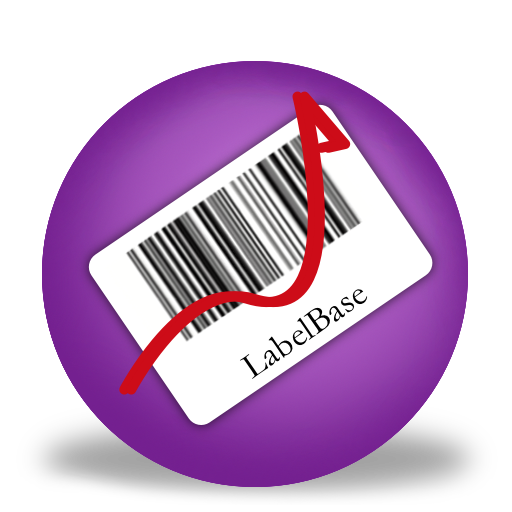 Above is a Youtube video we made to show you how to print a label from the built-in database in Labeller. After clicking on the tab you will see a drop down menu, we want to click on the "open label layouts" button. A new dialog will open, It should look like the dialog in the image above. 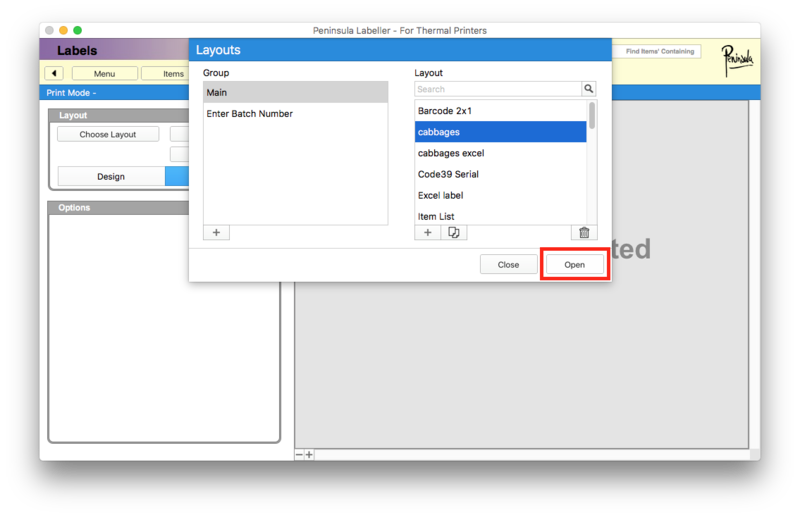 Pick your label layout, ensuring its the correct layout you want to use and select "open". 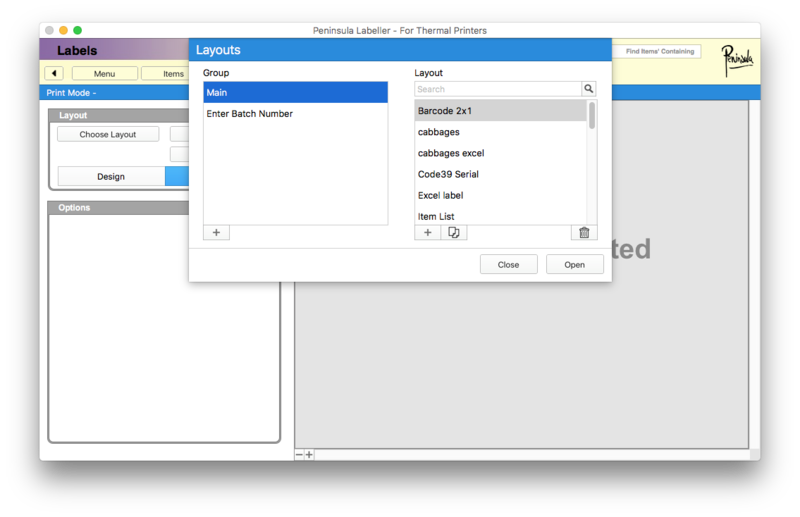 After opening your layout it will show you a preview of your chosen layout displaying the first record from the database. This is our first record from the database we created. 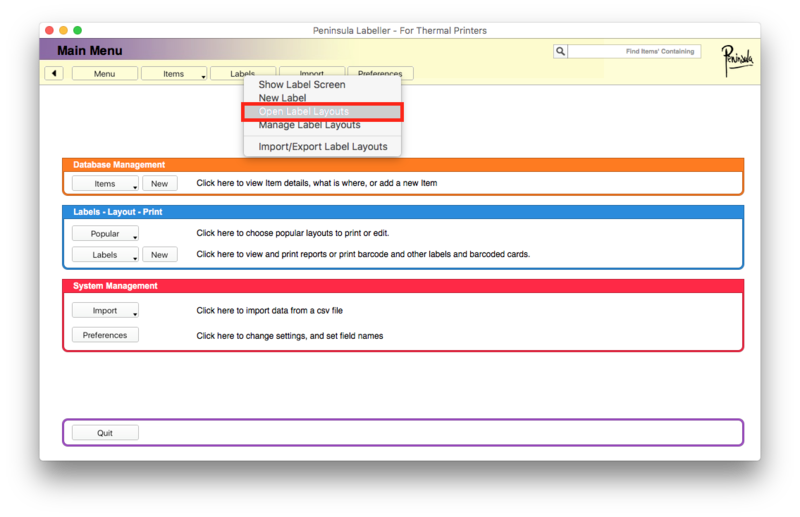 Check your label is all correct then click "print". 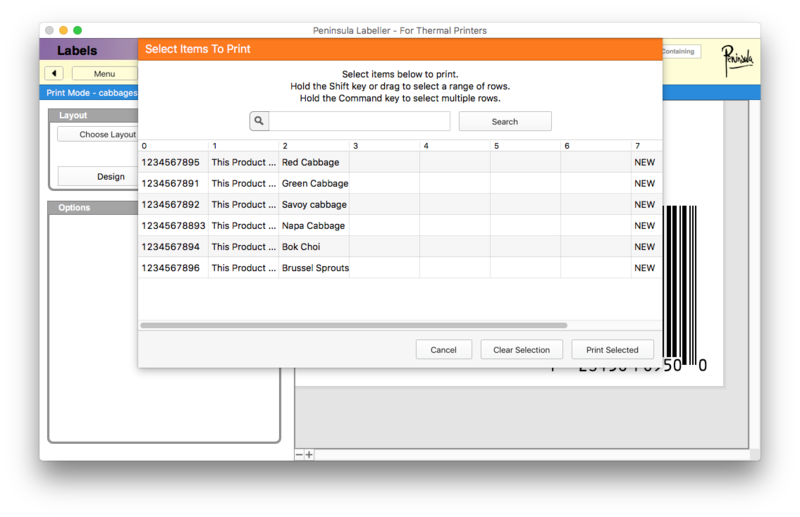 After clicking "print", a dialog like in the image above will open. This is where we will select what to print. select the labels you want to print out. They will stay highlighted if they are selected. Make sure you have selected all of the labels you wish to print. The above small dialog will open after you click "print selected". The number of labels to print is the amount of labels you have selected to print. 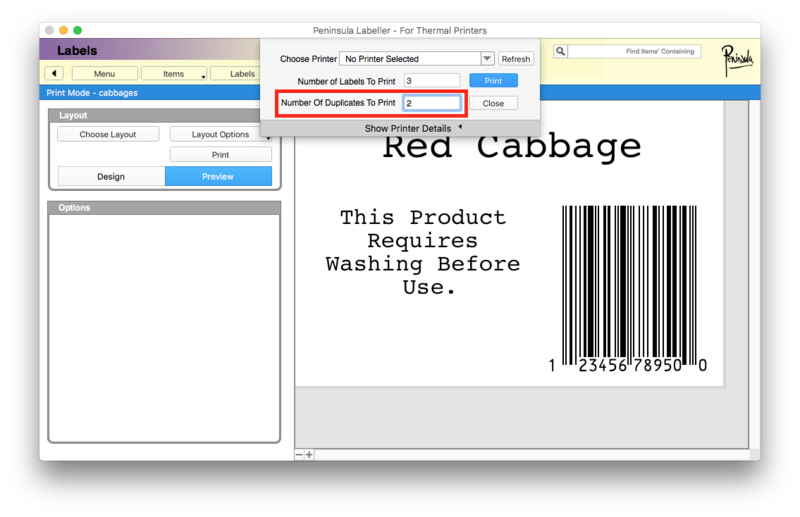 You can print more of each label by entering a different number in the duplicates to print field. Here we entered two so there will be one duplicate printed of each label. After you have ensured everything is as you want it, you can click print.